4X4 scissor lift with a working height of 15 m. Characteristics include double extensions decks, allowing for a total platform length of 7.30m and a maximum lift capacity of 700kg. 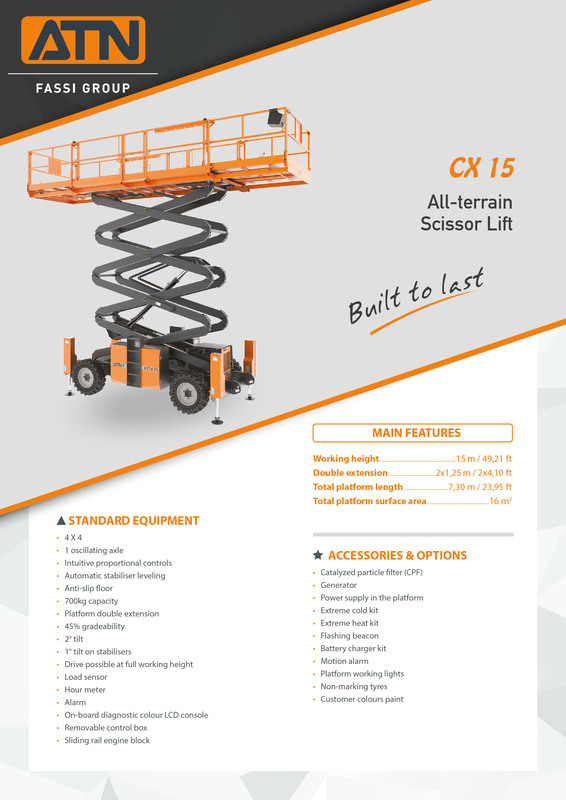 The CX15 scissor lift is equipped with an oscillating axle that allows it to operate on all terrain, and automatic stabilisers. The total surface area of the platform is 16 m2 allowing it to easily position cladding and other building materials. The engine is located in a sliding drawer allowing for better component access. 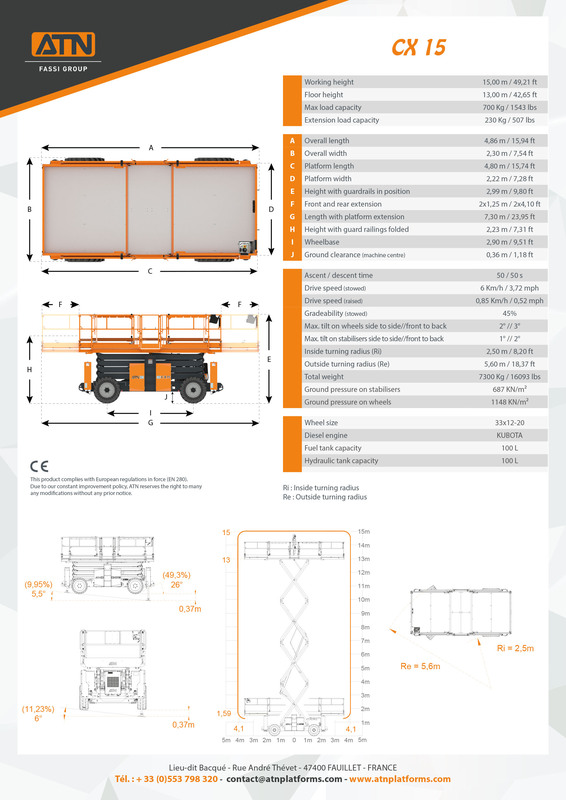 Transport is possible with the platform at maximum height on stabilised ground. Equipped with a diagnostic colour LCD screen console.